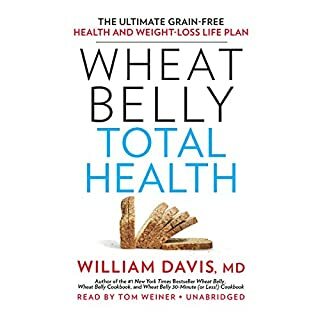 In his best seller Wheat Belly, Dr. William Davis changed the lives of millions of people by teaching them to remove grains from their diets to reverse years of chronic health damage. In Undoctored, he goes beyond cutting grains to help you take charge of your own health. 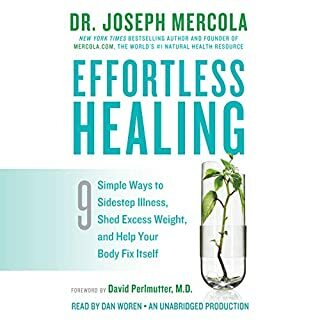 This groundbreaking exposé reveals how millions of people are given dietary recommendations crafted by big business, are prescribed unnecessary medications, and undergo unwarranted procedures to feed revenue-hungry healthcare systems. The number one New York Times best seller Wheat Belly taught us how to reverse years of chronic health problems by removing wheat from our daily diets. Now, Dr. William Davis has created a portable guide, perfect for quick reference at the grocery store. 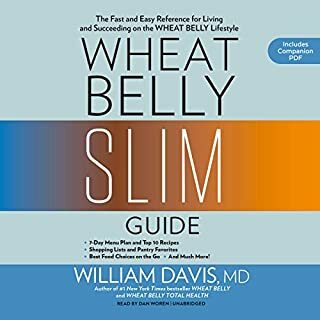 Wheat Belly Slim Guide contains an extensive grocery and pantry list; lists of safe sweeteners, safe thickeners, and safe flours; a guide to carb counting; and much more! Worry about cholesterol. Avoid red meat. Eat whole grains. Could it all be a lie? We live in an era of health hype and nutrition propaganda, and we are suffering for it. Decades of avoiding egg yolks, choosing margarine over butter, and replacing the real foods of our ancestors with low-fat, processed, packaged substitutes have left us with an obesity epidemic, ever-rising rates of chronic disease, and, above all, total confusion about what to eat and why. With more than a million copies sold worldwide, Dr. Perlmutter's books have changed many lives. Now, he's created a practical, comprehensive program that lowers the risk for brain ailments while yielding other benefits, such as weight loss, relief from chronic conditions, and total body rejuvenation. 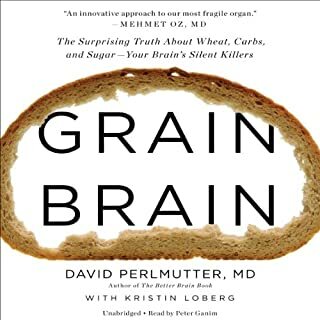 Science-based and highly accessible, The Grain Brain Whole Life Plan expands upon the core advice from Dr. Perlmutter's previous works and introduces new information. Luxurious and healthy eating lifestyle, luv it! Wheat Belly Flat Abs: Burn the Wheat & Burn the Pounds includes four amazing cookbooks in one amazing book to help you lose that stubborn belly fat and get the abs of your desire. easy to put together and they're healthy. 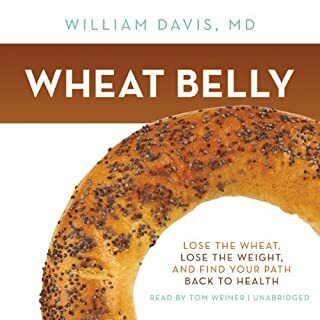 Wheat Belly: Lose the Wheat, Lose the Weight, and Find Your Path Back to Health, originally published in 2011, is a passionate manifesto deriding modern wheat. Author William Davis identifies human consumption of gluten as the chief culprit in many common health ailments. Through the New York Times best seller Wheat Belly, millions of people learned how to reverse years of chronic health problems by removing wheat from their daily diets. 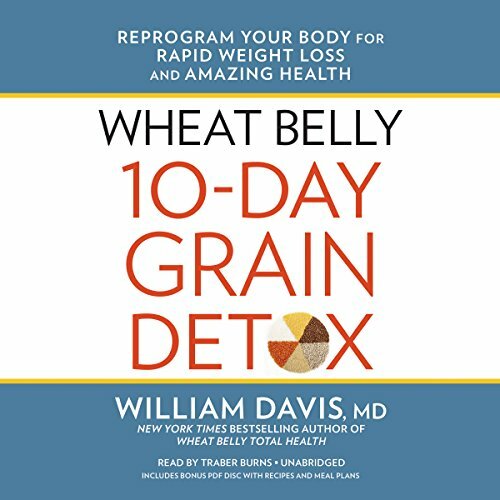 Now Dr. Davis provides a simple 10-day grain-detox plan, with carefully designed meal plans and delicious recipes that include everything needed to fully eliminate wheat and related grains. You will be guided through the complete detox experience and learn how to reduce or eliminate wheat-withdrawal symptoms. Inspiring and informative results from test panelists will help keep you on your Wheat Belly journey. Whether you've fallen off the wagon or are new to the wheat-free life, Wheat Belly 10-Day Grain Detox will help you achieve better health and performance while undoing a lifetime of damage caused by grains. ©2015 William Davis, MD (P)2015 Blackstone Audio, Inc. I don't know if the author monitors this site (? ), or if anyone from Audible can do anything about this issue, but I would like to know WHERE are the missing pages in the pdf? I have finished 'reading' the book and now would like to put it into practice, but I can quite plainly see that not all of the recipes from the book are provided in the pdf. Why is this, I wonder? ....???? I paid for this book. why am I not allowed to have access to it in totality? I have joined a 10-Day Wheat Belly group on Facebook and will pose this question there as well, but thought I would share it here as well (just in case anyone is 'listening'). Thought it was a great idea to purchase this book as an audio book so I could listen to it while traveling for work. I saw that it had an attached PDF so I thought I would have the full meal plan and recipes. I was excited when I downloaded the PDF and printed all 48 pages. Then when I started looking through it, it was missing random pages that I needed for the meal plan and pages it referred to for recipes. Too bad audible doesn't check for quality. 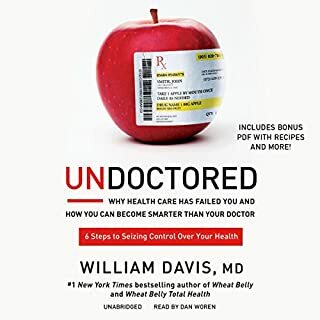 What could William Davis MD have done to make this a more enjoyable book for you? Made sure to include the items I needed to follow-through with what they're trying to explain in the entire book. He was fine. I sped him up 1.5 times and it worked out great. If you could play editor, what scene or scenes would you have cut from Wheat Belly 10-Day Grain Detox? YOU CUT TOO MUCH!!! GIVE ME THE INFORMATION I NEED INCLUDED IN THE PDF PLEASE! Please contact me to provide the remaining pages I need in the PDF. If you look through it, you can clearly see the pages are not in order and are missing. If you could sum up Wheat Belly 10-Day Grain Detox in three words, what would they be? What three words best describe Traber Burns’s voice? This is great information for those wanting to jump start the wheat belly lifestyle! I purchased the audio book but may need to buy the paperback as well so I have reference material to refer back to. Listened to all three books in a row. They are all the same as the original wheat belly book except that the second book adds info about vitamin D, iodine, thyroidism. This is a great "how to guide" to get started with the wheat belly lifestyle. The original book got me motivated, now this book is like the instructional manual. My second Wheat Belly book. Excellent. Would highly recommend to anyone...very educational, informative, and easy to follow. Gets 5 stars from me. If the narrator would have stuck to his promise to not repeat all the information in the basic books. I don't think William Davis had much to do with this but if he did... there's a time to check out. Who would you have cast as narrator instead of Traber Burns? The narrator is no better than his material. This is bottom feeding at its finest. Haven't found them within an hour plus and don't intend to waste any more time on it. What would have made Wheat Belly 10-Day Grain Detox better? The Wheat Belly books got good reviews, so, having been an Atkins fan, I thought I'd see if there was new or additional information. Loved the book, I will definitely listen again. Thank you Dr Davis for telling the truth!